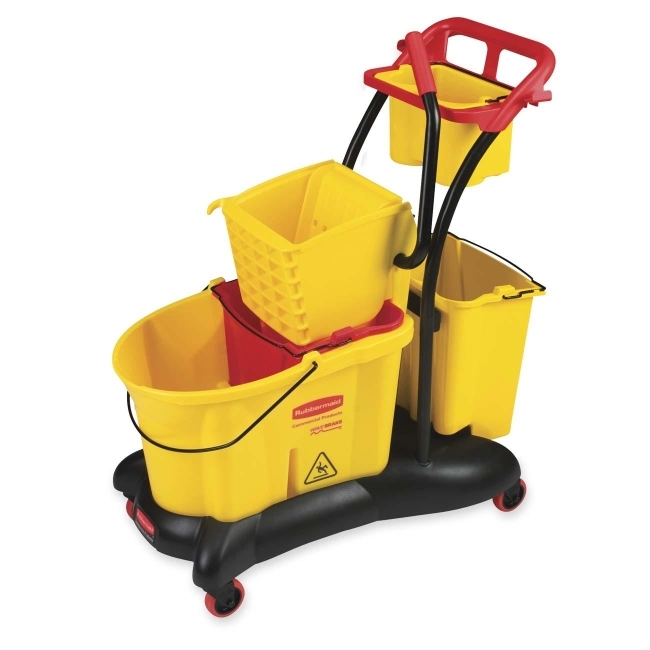 WaveBrake Mopping Trolley Side Press includes one 35 quart bucket, two dirty water buckets (one red, one yellow), quiet caster dolly, trolley handle and maid caddy. Mop bucket and wringer system reduces splashing, which means a safer environment, cleaner floors and improved productivity. High efficiency wringer. Lasts 58 times longer than comparative wringers. Average wringers perform approximately 860 cycles. Tested to exceed 50,000 wringing cycles. Made with premium tubular steel and Structural Web molded plastic.